I think it is time for a little update on this cutie. A lot has changed in the last few weeks and her future is unknown at this time. be returning to live with us until everyone has time to figure out what next. have changed their minds. The adoption plans have fallen through at the last minute. at this time and making a hard decision. It was very difficult for them. I watched them in pain. But when the decision was made it was right. plan in place of keeping these siblings together but there was still peace. Peace that I couldn't explain. As much as I want to be able to say Yes. Sure. That would be perfect. It would not be perfect. I know my limits. I know what I can do and do well. I know what answers we have received to our own prayers. And trust me we have spent much time in prayer over this decision. even extended family, in making this decision. But I know what Heavenly Father has planned for our family. With a surety. It includes Little Mister. It is time to put my thick skin on. I want to burst out crying when asked that question. the siblings...and our love for Little Miss. just one. Parts of this case are heartbreaking with regards to Little Mister. and reunificiation could be possible for the three other siblings. It was then that we committed to adopting Little Mister. No way were we having him placed anywhere else ALONE. But we would have never committed to adopting two siblings. Our goal was never adoption. Our goal was foster care. But we know now the reason for our journey in foster care. we actually asked our friends if they wanted to keep them all together. They said no. They knew in their hearts also that Little Mister belonged to our family. would make as a family to help keep them together. of the other siblings' outcome in court. It is where he belongs. and that is how we came to committing to adopt just one. and possibly even her two older siblings. is to keep these siblings part of our family too. 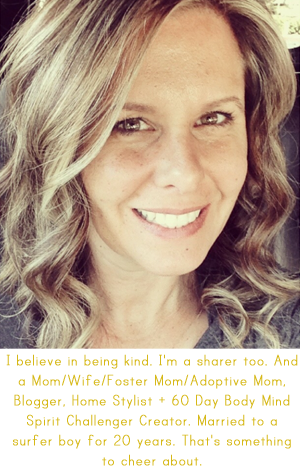 to have an open and close relationship with the other adoptive families. i know that is a lofty goal. but thankfully county adoptions have the same goal. that doesn't mean that it will happen. but it is our goal. So here we are today....on vacation without Little Miss. before we left. We had planned this vacation as our first vacation as a family of five. We needed to know if Little Mister would be ok with just the 4 of us. with one little toddler running (or crawling) around instead of two. We needed to know we would be Ok without Little Miss with us. We continue to feel peace. We feel all these things. Oh we miss that little girl right now. But we also know this is our family. Little Miss ended up staying these two weeks with our dear friends. What a gift they have given us with this break. and take care of her as foster parents instead of adoptive parents. For they do love her and she loves them. will be returning to our home until her forever plans are in place. For now we are enjoying the peace and quiet that one little toddler brings instead of two. when we return home and start all over making plans for this sweet girl. It will be another emotional roller coaster ride. but that doesn't mean it will be easy. We LOVE you Little Miss with our whole hearts. You will be forever part of our family whereever you go. For now...you get to stay with us a little longer! April, I didn't even want to open this post to read off my reader but I'm glad I did. I'm sure you haven't even touched the surface of the process and you don't need to. It is a private, family decision. Gut-wrenching I'm sure! Praying for rest and wisdom. Thank you for your honest and compelling post April. I'm sure this has been a wonderful yet difficult time for everyone involved. They are both beautiful children and I'm glad you are finding peace with the decisions you have made. Prayers for you and everyone involved.